What’s 1.3 seconds faster from 0-60mph than Magnum PI’s Ferrari 308 GTS-i, gets better fuel economy than a Jeep Cherokee XJ on 31” tires, and turns heads wherever it goes? 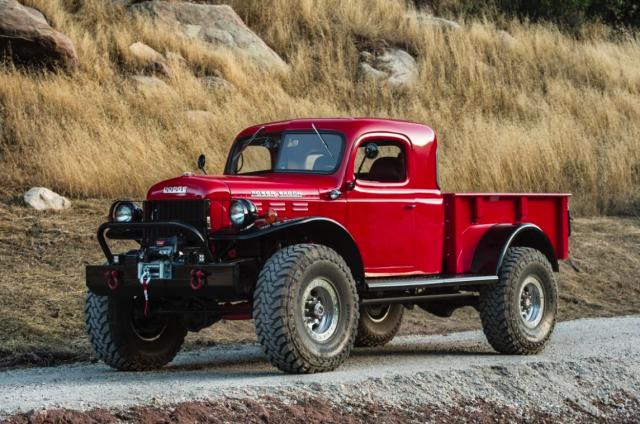 Well, if the cover photo hasn’t ruined the surprise, then you may be shocked to learn that it’s a classic Dodge Power Wagon. 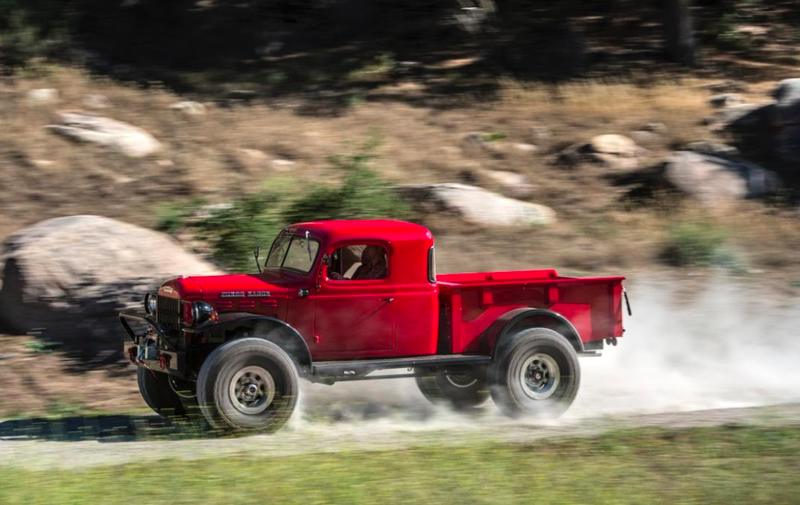 Yes, that rusty old truck that sits in a barn just down the road from your house, the one that you have considered stopping to ask if it’s for sale –with the right direction (and enough cash to purchase a brand new 458 Ferrari Italia) it could be transformed into the unique fire-breathing monster you see above. Okay, so before you run to the bank and remortgage the house, lets go over what you get for a quarter of a million dollars. Since these rigs are built to perform rather than attend car shows (although, they would do very well) the build schedule reads very much like every truck enthusiast’s wish list. 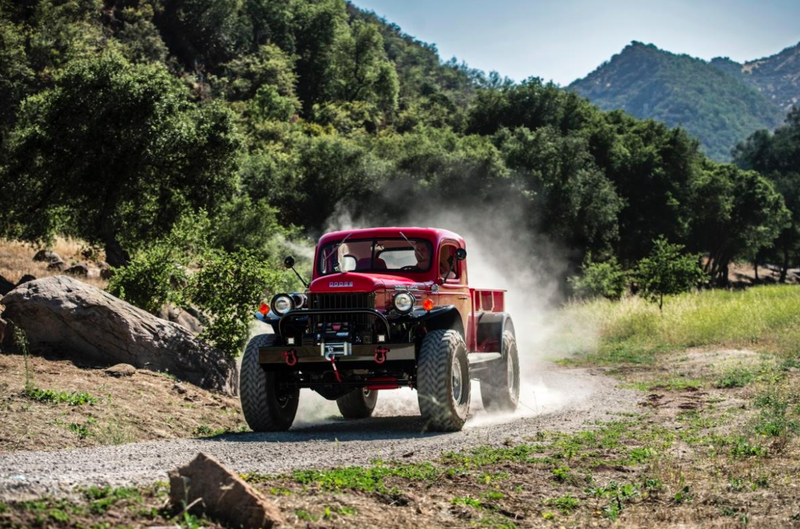 Starting underneath, a Dynatrac ProRock 80 rear solid axle and a Dana 60 (optional Dynatrac ProRock 60/80) front spins four, 40” Toyo Open Country M/T tires. 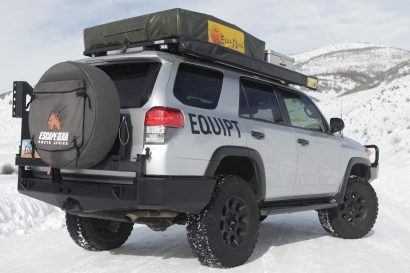 Handling the switch from 2 to 4 wheel drive is an Advanced Adapters Atlas transfer case, which comes standard, although other transfer cases can be substituted if so desired. 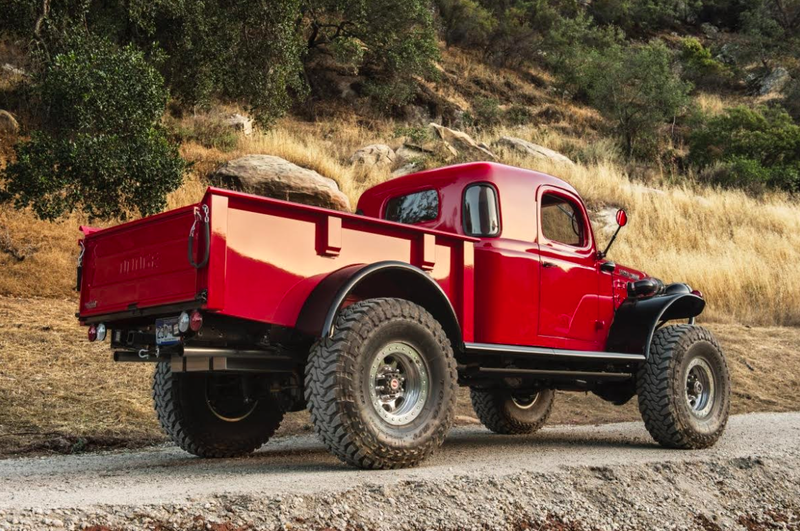 Since this truck is all about character, Legacy didn’t waste their time reinventing the proverbial wheel. 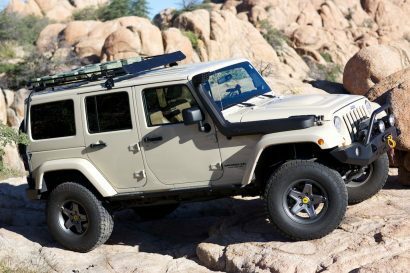 Both front and rear axles remain leaf sprung, but have been upgraded with military wrap ends to keep things sturdy, reliable, and supple enough for the backwoods or pot hole laden city streets. These trucks can be delivered with a myriad of options; most interesting is the list of engines available. 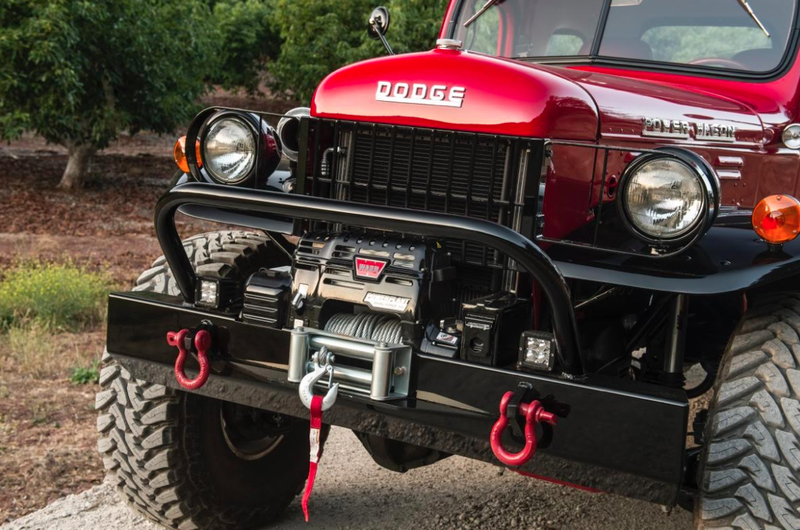 To satisfy the exploding desire for diesel engines, Legacy offers the tried and true Cummins 3.9l 4BT with an output of 480 lb/ft of torque. This is the same engine that can be found in many FedEx and UPS trucks. Legacy has stringent standards for reliability and, as such, only offers component options that meet their strict criteria for durability and serviceability. For instance, the 640 hp, GM LSA engine, found in the Cadillac CTS-V, has a true plug and play arrangement that makes them not only simple to install, but also fully serviceable by any GM dealer. Simplicity is the key to reliability and reduces the time necessary to track down a problem in the field. This is but one example of Legacy’s commitment to producing a user-friendly experience without the cobbled together effect found in many custom builds. 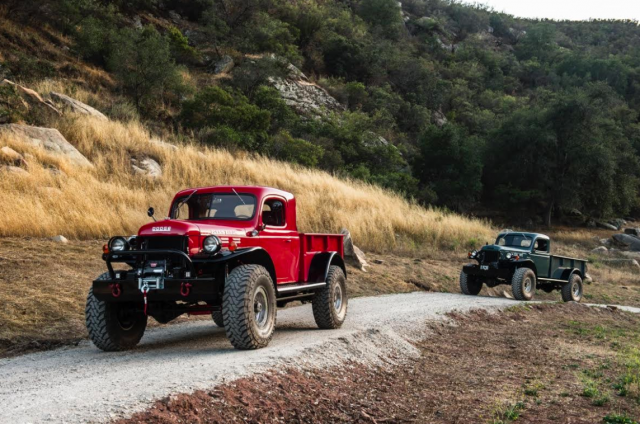 Of course, the Cummins and LSA are polar extremes and may not appeal to everyone. The more tame racing drivers may opt for the Chevrolet LS3 V8 which produces only 430 hp. Sadly enough, the body panels are too narrow to encase the massive cylinder heads of the Dodge HEMI. Just like the rest of the build, Legacy has great pride in keeping the factory sheet metal looking as close to original as possible, adapting the HEMI power plant just doesn’t fit this philosophy. Each truck is hand build by 10 highly skilled craftsman in a 10,000 sq/ft shop in Idaho. Once a truck is found, and approved via photographs sent to the customer, the rusting hulk is carried to the shop where it will undergo a massive transformation. Every inch of the truck is scrutinized before a plan is rolled out to determine which parts to keep and which to toss into the bin. Once the truck is prepped for the build, the customer’s spec sheet guides the skilled artisans toward the finished product. Taking over 600 man-hours to complete, you can rest assured that every detail is carefully addressed. 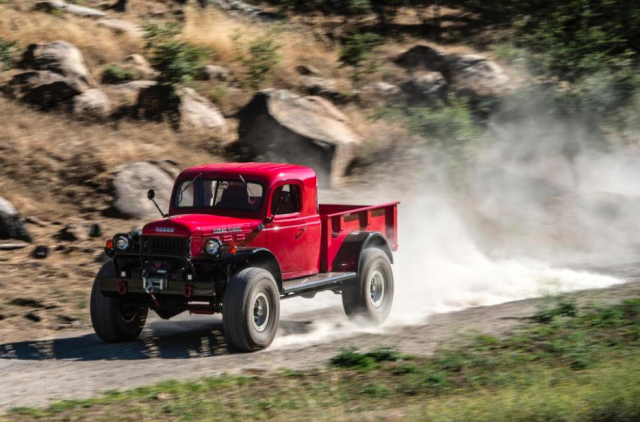 Currently, there is a one-year waiting list to get a Power Wagon of your Own. 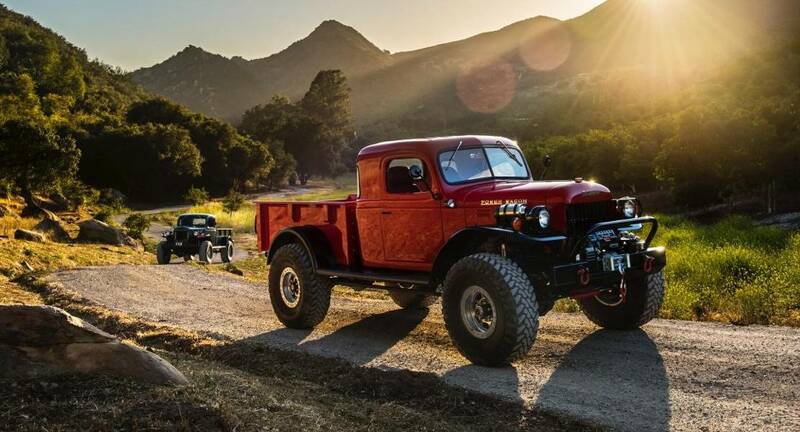 All you need is a 25% down payment and Legacy will get started molding the truck of your dreams. 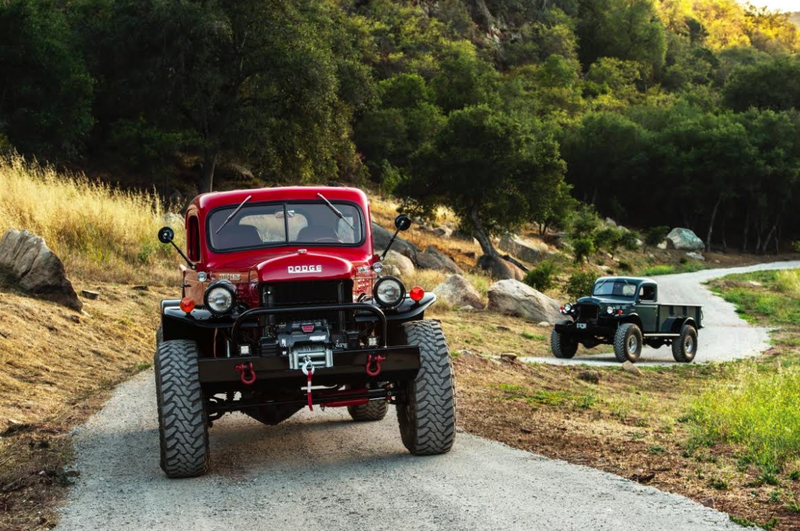 Thus far, over 60 trucks have been resurrected and are enjoying life with their new owners. 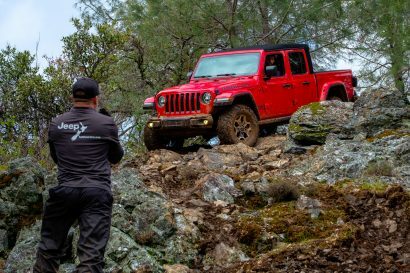 Though the price may be steep for someone who only looks at purchasing brand new vehicles from a dealership, anyone who has been a part of a ground up restoration project will appreciate the value found in Legacy’s finished product. Now, how do I get my hands on the keys….